All else being equal, is fracking something we should welcome? Advocates of shale gas present it as ushering in a new age of cheap energy and increased self-sufficiency. But is it really going to be economically beneficial and will it reduce our bills? Is it ethical and sustainable? Let us look at exactly what this means in terms of our energy mix, security of supply, and why it has been labelled as an extension of the dash for shale gas. The large scale exploitation of shale gas in the US has defined a model that many in Europe are keen to follow. It has certainly had a profound effect on energy costs – the International Centre for Climate Governance reported that “in 2010 the average gas spot price at the Henry Hub in the US was only $4 per Million British Thermal Units (MBtu), while in 2008, the same price was for around $8-9 per MBtu.” Gas prices were also considerably lower than in other developed countries. However, Robin Miege, director of strategy at the European Commission’s DG Environment, recently poured cold water over prospects for unconventional hydrocarbons in Europe, pointing to important geographic and geological differences between the US and Europe. These differences mean that shale gas production costs could be twice as much in the EU as in the US, limiting the scope for unconventional hydrocarbons to transform our gas market to any comparable extent. Indeed, even if shale gas were to be cheaper, a senior banker at Norddeutsche Landesbank has pointed out that it would be unlikely that the benefit would be felt by customers. A significant impact on the gas market would also depend on there being a substantial amount of gas to exploit. Estimates of the reserves in the north west of the UK were recently revised upwards by a factor of twenty, although doubts remain regarding the proportion of this gas that can economically be extracted. Extraction challenges mean that the scale of accessible reserves is unlikely to be as great as current estimates suggest. The consensus view on unconventional gas seems to be that it will not arrest but merely slow the decline in UK conventional gas. It might allow the UK to negotiate better deals for imported gas by making us less heavily dependent on them, but this assumes that we continue our over-reliance on gas in our energy mix. Investing heavily in shale gas and in new gas power stations will divert resources from diversifying energy production, and simply kick the can down the road, leaving the next generation to address the real need for decarbonisation. 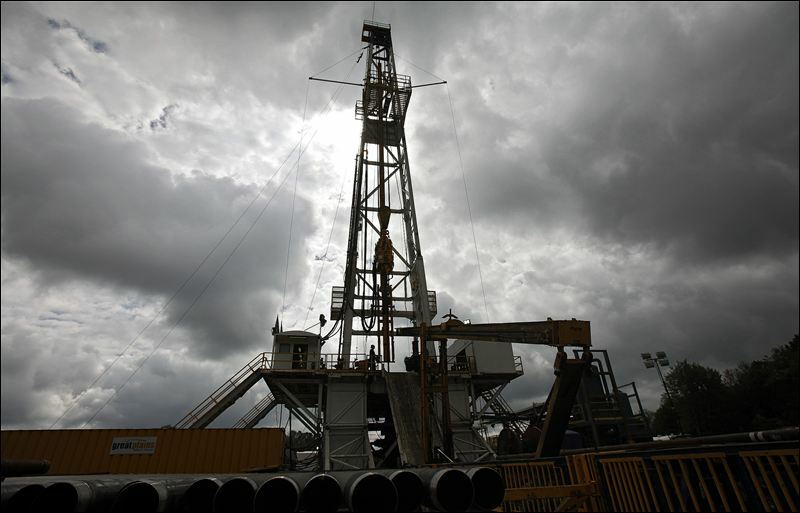 Shale gas in Europe would do little to reduce greenhouse gas (GHG) emissions. Natural gas is a cleaner burning fuel with lower combustion emissions than coal. However, combustion is only part of story. In 2010 the EPA carried out an assessment on “fugitive” gas emissions at or around shale gas sites; the report suggested that losses from such emissions were much higher than for conventional natural gas. Based on this research, Cornell University examined the total lifecycle CO2 equivalent emissions of fracking compared with surface and deep coal, diesel oil and conventional gas, over a 20 year and 100 year timeframe. Shale gas performed considerably worse than conventional gas and even somewhat worse than coal or diesel oil production over 20 years, although the 100 year picture was rather more complex. Caution is therefore needed over claims that shale gas is an environmentally sustainable option. However, the EPA data on which the study is based is not uncontroversial, and a subsequent study by the Massachusetts Institute of Technology found fracking’s fugitive emissions to be much lower. In this field, all results seem to be contested. If the Cornell study is to be believed, only in countries such as Poland, which are heavily dependent on coal-fired power stations and have large reserves of shale gas, would a new dash for gas have a beneficial effect on GHGs. Given the urgent need to reduce our overall emissions, the risk that shale gas production could hinder progress on the installation of new renewable energy sources needs to be carefully considered. Shale Gas is towards the low grade end of the spectrum, which is characterised by the need to for greater effort and investment, not to mention increased risk, to win an ever diminishing quantity of resources in harder conditions. Only if energy prices go up will fracking repay the investment required. Analysis of data supplied by the International Energy Agency suggests that the boom in the production of shale gas in the US may be relatively short lived; in fact production could already be at its peak. The average life of a well is only 3-5 years, and the number of new wells being sunk is in decline. The dash for shale gas in the US has lowered the price to a point where not all extraction is profitable. This may mean that some possible wells are being held back, but it even if prices rise so as to make these worthwhile investments, it is unlikely that these will result in production increasing. The unconventional gas market seems to be at risk of experiencing a bubble of a significant scale. Some economists are already suggesting that it could burst in a relatively short time frame, with serious consequences for economic stability. Pinning European hopes for lower energy costs and increased energy security to such an insecure mast seems rather a risk, especially with the US economy already wedded to unconventional gas. The attraction of shale gas as a means of boosting our struggling economy with cheap energy is understandable, especially given what we’ve seen happen in the US. However, the evidence suggests that Europe is a different case, and here shale gas has much less to contribute. If it proves to be a short-lived bubble, there also appears to be a real risk of wider damage to the economic system, and my preference would be to see continued investment in renewable alternative energy, which would be likely to provide more jobs and greater security. There also doubt regarding the GHG credentials of shale gas, even compared with other fossil fuels.